ABU DHABI ? The 120-km Al Reef Challenge, to be held today, is the first evening endurance ride of the season and will also end the endurance season. The ride is scheduled to start at 4.30pm. Over 115 riders have confirmed their participation for the Al Reef Challenge endurance ride to be held at the Emirates International Endurance Village, Al Wathba, Abu Dhabi. The ride, organised by the UAE Equestrian and Racing Federation, is being sponsored by the Al Reef Stables. The CEI 3-star, 120-km ride will be run in five stages. Pre-ride inspection will be held on the same day at the Village premises between 2.30 and 3.30pm. Some of the riders contending in the Challenge include: Shaikh Hazza bin Sultan Al Nahyan who will be riding 10-year-old grey gelding Ramalea Captain Srarlight, Shaikh Khaled bin Sultan Al Nahyan who will be riding nine-year-old grey mare Ainhoa Hadliz, Shaikh Saeed bin Maktoum bin Khalifa Al Maktoum who will be aboard 11-year-old bay mare Henham Fahrida, Shaikh Abdullah bin Faisal Al Qasimi (Coolahlee Park Charlene), Sultan Ahmed Al Baloushi ( EO Jabari), Jasim Ali Abdullah Yousif Al Hammadi (Roxborough Zepher), Abdullah Khamis Ali Saeed (Estaban), Jesus Manuel Berna (Risco Moreno), Yousef Ahmed Bloushi (Carallio), Khalid Abdul Rahim Al Hammadi ( Mindari Aenzac), Yousef Abdullah Al Hammadi (Maramanup Surnrise), Mohammed Ibrahim Al Hammadi (Kurandea), Federico Zubaiurre (Yimood), Ali Khalfan Al Jahouri (Knight MA), Ali Yousef Hussain Al Hammadi (Sandine Velencia Boy), Yousif Mohammed Hasan Al Hammadi (Caverna), Mohammed Yousuf Al Hammadi (Gato), Hassan bin Ali (Shalzara Park Shaitayn) and several others. There is a Best Conditioned Horse competition also. Khaleej Times Online: "?I think my patience to ride the horse to his ability was rewarded at the end. My horse was in good shape but I didn?t want to ride at a crazy pace and pay the penalty of what the other rider did,? said Marzouqi, who had won the President?s Cup junior ride in 2003 and runner up the following year. ?I follow instructions from my crew but decide on the pace and other matters instinctively. In endurance, riding a winner is as important as the welfare of the horse. I think I achieved both today,? he added." Fahad Hamad al-Athba claimed the top honours in the senior category of the Endurance Ride held at Messaid on Friday. Fahd finished the gruellin 120km race in 11hrs 02min 43secs, ahead of Abdullah Nader Abdulrahman Feteas and Ali Khurbash who took the second and third spots. Fahad riding Tequila, a 11-year old chestnut horse, was placed first at the end of the first vet gate, but faltered to be third in the second stage. However, Fahad dazzled later to maintain the first place in the remaining four stages. The second placed Abdulla astride Nader, a Anglo-Arab 12-year-old grey horse, gradually improved from the fifth place in the first stage to keep abreast with Fahad, while finishing the race in a timing of 12hrs45min.15secs. Faleh Swaid al-Ajmi, riding Elate, a pure Arabian, nine-year old grey horse, won the junior category in 5hrs51min.56secs. Megan Gwenhol Jones finished second ahead of Abdulla Salem al-Marri. SHAIKH Khalid bin Hamad Al Khalifa steered Farhoz De Paute to victory in the senior section while Amur Al Muammry notched the junior title in the 120-km Bahrain Open Endurance Championship yesterday at the Endurance Village premises in Sakhir. Shaikh Khalid, the Bahrain Royal Equestrian and Endurance Federation (Breef)acting president and Al Khaldia stable captain, showed great stamina and control to win this race in five hours, 45 minutes and three seconds for an average of 26.64 kms per hour. The Breef chief was followed by Jaber Al Dosseri of Al Talia Stable who completed the race on Omsura Nasrohn in 5:48:02 in second place and Fahad Ismail was third on Aloha Shiralee in 5:59:21. 20. Amur of Al Asayel Stable followed suit to win the junior race, which was also over 120 kms, clocking 6:17:48 on Princess. He was ahead of Royal Endurance Team riders Jaffar Mirza who steered Jamil to second place in 6:20:00 and Ebrahim Al Rumeihi who came third on Hard in 6:35:30. A number of GCC riders from Kuwait and Saudi Arabia also took part in the race but were unable to complete the event which was the third on the federation's calendar this season. The General Organisation for Youth and Sports president Shaikh Fawaz bin Mohammed Al Khalifa flagged off the race at the Endurance Village gate. The event was also attended by Breef endurance committee chairman Shaikh Faisal bin Rashid Al Khalifa, who honoured the top three riders in the seniors race, while Shaikh Khalid honoured the winners in the junior section. The Kentucky Horse Park's director of operations has been selected to lead the planning of the 2010 World Equestrian Games. Rob Hinkle has been hired as chief administrative officer by the World Games 2010 Foundation Inc., the organization in charge of the Fédération Equestre Internationale World Equestrian Games, according to a news release. Hinkle has served as director of operations for the Kentucky Horse Park since 1999. He joined the park as senior special events coordinator in 1991. Hinkle was director of equine operations for Walt Disney World in Orlando, Fla., before joining the Kentucky Horse Park. He also was a member of the team that wrote and presented Kentucky's bid to the Fédération Equestre Internationale last year. The 2010 World Equestrian Games is expected to draw more than 300,000 attendees and have a potential economic impact of about $100 million. This will be the first time that the games will be held outside of Europe, and it will be the first time that the games are staged at a single venue. The two-week event, which takes place every four years, includes the world championships of seven equestrian sports: show jumping, dressage, eventing, driving, reining, vaulting and endurance riding. The competitions are expected to draw about 800 equestrians and 1,000 horses from 50 countries and to attract more than 1,000 journalists. The event will be televised in 180 countries. The World Games 2010 Foundation Inc. will hire a CEO at a later date to oversee all aspects of the games, the release said. We are happy to announce a new endurance event in southern Germany. We want to continue the tradition off the well organized rides in Donaueschingen and Tanneck in former times. The CEI in Hechingen will be a good start in the international season of 2006. The conditions of our rides are comparable with the profile in Aachen. So our rides are a good possibility to test your horses and prepare them to this most important event in 2006. We try to present you a very good organizition and also a very pleasant and friendly atmosphere. A final decision on the determination of the gold/silver/bronze medals! "The FEI has received the decision of the Court of Arbitration for Sport in the matter of the appeal concerning the winner of the 2005 FEI Endurance World Championship, Sheikh Hazza bin Zayed al Nahyan (UAE). The outcome of the decision is that Sheikh Hazza is disqualified after his horse Hachim tested positive to the prohibited substance Methylprednisolone. " DUBAI ? Over 80 riders have confirmed their participation for the Emirates Challenge endurance ride to be held at the Emirates International Endurance Village, Al Wathba, Abu Dhabi, on Thursday, March 9, 2006. The CEI 3-star, 120-km Emirates Challenge ride will be run in five stages of 32 km, 30 km, 24 km, 18 km and 16 km respectively. 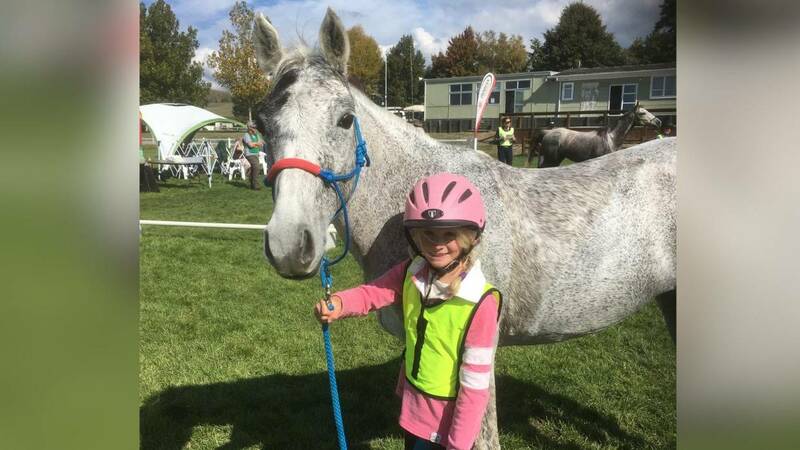 It will feature horses aged six and above and the ride is scheduled to start at 6am. Some of the contenders taking part in the ride include Shaikh Saeed bin Maktoum bin Khalifa Al Maktoum, Shaikh Abdul Aziz bin Faisal Al Qassimi, Shaikh Abdullah bin Faisal Al Qassimi, Jaber Bittar, Jesus Manuel Berna, Yousef Ahmed Al Bloushi, Omair Hussain Abdullah Al Bloushi, Ahmed Hassan Ahmed Al Hammadi, Khalid Abdul Rahim Al Hammadi, Khalifa Ahmed Atiq Al Marri, Khalifa Matar Mohammed Al Neyadi, Abdullah Saeed bin Huzaim, Abdullah Thani Ahmed Al Dalali, Layla Abdul Aziz Al Redha, Salem Rasahid bin Ghadeyar, Mubarak Khalifa bin Shafya, Ali Mohammed Al Muhairi, Thani Mohammed Al Muhairi, Hassan bin Ali and Sultan Ahmed Al Bloushi. As is the case during all the endurance rides in the UAE, whips, spurs and long reins are not permitted during the ride. The riders have been requested that they make sure that their horses are sufficiently warmed-up before being taken inside the vet gate. No more than two persons and the rider will be permitted to accompany a horse inside the vet gate at any time. The riders have also been instructed that they must wear hard type riding helmets and shoes with heels. It is also forbidden to give water or any other kind of assistance from inside a car. Any horse that is retired after the start must be shown to an official Ride Veterinarian before it leaves and venue. Furthermore, crewing of horses is not permitted in the entrances or inside the vet gate. All the participants have been requested by the Federation to follow these rules to make the rides smooth and trouble-free. In the Emirates Challenge ride, The Best Condition Competition is restricted to the first ten horses that cross the finish line. ABU DHABI ? A three-member committee from the Asia Equestrian Federation held a meeting in Abu Dhabi on Sunday with the officials of the UAE Equestrian and Racing Federation and discussed equestrian activities during the forthcoming 15th Asia Games, scheduled to be held in Doha, from December 1 to 15. Hussein Mohammed Hussein, secretary-general of the UAE Federation, chaired the meeting. The members of the Asian Federation included II-Hong Kim, secretary-general of the Asian Equestrian Federation, Won-Oh Park, secretary-general of the Korean Federation and Mehdi Nikooee, chairman of the R&R Committee and also council member. The meeting discussed at length the problems faced by some of the Asian Federations willing to participate in the Doha competitions due to the exorbitant costs of transportation of horses from the Asian countries via Europe and then to Doha. In lieu of this, the Asian Federation members suggested Dubai could be considered as the intermediary place from where the horses could be sent to Doha. Hussein Mohammed Hussein expressed UAE?s readiness to provide all possible facilities to make this event a success. Hussein requested that the suggestion should be put forward in the meeting of the Organising Committee in Doha. A joint technical meeting attended by both the parties could follow this to discuss the other procedures. He also requested for a list of the participating countries to be submitted to the Ministry of Agriculture and Fisheries in the UAE to make sure that those countries maintained the quarantine procedures in accordance with the UAE regulations. Hong Kim explained that they were working on appointing endurance technical committees. He said since endurance was not very popular in the East Asian countries and that the Asian Federation did not have sufficient experience in selecting the ride officials, the FEI had prepared a list of officials. The FEI recommended that the list be presented to Hussein Mohammed Hussein, who is also the chairman of the Asian Endurance Committee, who on his behalf offered all the support from the UAE technical committee to make the event successful. Hong Kim also sought advice and help from the UAE Equestrian Federation keeping in mind the humble standard of endurance rides in Asian countries. He suggested that a seminar should be organised on endurance on the sidelines of the General Assembly meeting of the Asian Equestrian Federation to be held in Malaysia from April 27 to May 2. DUBAI ? The UAE Equestrian and Racing Federation, in cooperation with the Boudthib Endurance Village, is organising Sheikh Khalid bin Sultan Al Nahyan Challenge Cup for Juniors and Young Riders at Boudthib Endurance Village, Al Khatem, Abu Dhabi, on Thursday, March 2, 2006. The CEI, Two-star, 100-km ride, which will be run in four phases of 30 km, 30 km, 24 km and 16 km respectively, has so far attracted over 30 riders. The ride is scheduled to have a mass start at 6.30 am. The Federation is also organising two Federation Qualifiers on the same day at the same venue. The 84 ?km Qualifier, which will be run in three phases of 30 km, 30 km and 24 km respectively, will feature around 50 riders and will start at 6.45 am. As many as another 50 riders will vie for qualification in the 46-km ride which will be run in two phases of 30 km and 16 km respectively and will be flagged off at 7 a.m. The UAE Equestrian Federation organizes Federation Qualifiers at regular intervals to help riders and horses to qualify themselves to ride in higher category rides. The rides are held under the patronage of Shaikh Sultan bin Zayed Al Nahyan, UAE Deputy Prime Minister and Chairman of the Emirates Heritage Club. The Boudthib Endurance Village is part of the Emirates Heritage Club. The Emirates Heritage Club is closely involved in the development of several traditional and cultural activities and sports in the country, including endurance riding. The club also provides vital training facilities for children in the UAE and its modern and excellently planned endurance village has become a training ground for several aspiring young endurance riders. Boudthib is located past Al Wathba on the left side of the Abu Dhabi-Al Ain highway. One can also reach the Boudthib endurance Village from different emirates by following these directions: From Abu Dhabi ? On Al Ain Road at exit for Zayed Military City, turn left and follow signs. From Dubai- On Abu Dhabi Road at Al Mafraq bridge take exit to Al Ain Road and continue up to exit for Zayed Military City, turn left and follow signs. From Al Ain ? On Abu Dhabi Road at Al Khatem Bridge exit right and follow signs.